Neusha received her BS in Psychology at Stephen F. Austin State University in Nacogdoches, TX. She is currently earning her Masters in General Psychology with a concentration in Social Psychology. After graduation (May 2018), Neusha plans to attend a doctoral program in Experimental Psychology. Neusha's current research interests include body image, body dissatisfaction, and social exclusion. Sarah received her MS in Psychology at SFA in August 2017 and her BS in Psychology at Abilene Christian University in Abilene, TX. She is currently earning her Masters in General Psychology with a concentration in Social Psychology. Sarah plans to attend a Ph.D. program in Clinical Psychology. Sarah's current research interests include body image, weight stigma, and eating disorders. Nadia received her MA in Psychology at SFA and her BS in Psychology at Atma Jaya Catholic University of Indonesia. After graduating from SFA (May 2017), Nadia went on to Oklahoma State University, where she is currently working toward her Ph.D. in Human Development and Family Sciences. Nadia's research interests include PTSD, posttraumatic growth, disaster-related trauma, and prejudice. Margaret received her BA in Psychology at Lyon College in Batesville, AR. Margaret then earned her Masters in General psychology at SFA, completing her thesis study, “Facebook and Body Satisfaction: Contextual and Person-Centered Moderators” under the supervision of Dr. Savoy. She is currently earning her Ph.D in Experimental Psychology at East Tennessee State University in Johnson City, TN. Margaret continues her research interests in body image, attachment, behavioral mimicry, and video games. Mark graduate in May 2014 with a major in Psychology. He plans to attend Dallas Theological Seminary. Under the supervision of Dr. Savoy, he completed two independent studies and assisted as an experimenter in the Social Development Lab contributing to the Posttraumatic Growth in Combat Veterans and College Students project. Angel graduated in May of 2015 with a major in Psychology. She is particularly interested in mental health and suicide prevention. She assisted as an experimenter in the Social Development Lab, contributing to the Identity Threat and Eating Behavior project and the Adult Impressions of Childhood Aggression Project. Angel will continue graduate studies at SFA, earning her masters in counseling. Shelby graduate in Summer 2014 with a double major in Psychology and Spanish. Shelby is interested in adolescent adjustment, emotion, and culture. At SFA she studied developmental timing and social-cognitive risk factors for self-injurious behaviors. Alli graduated in December 2013 with a major in Psychology. Particularly interested in health and experimental psychology, she assisted as an experimenter in the Social Development Lab contributing to the Identity Threat and Eating Behavior project and the Mechanisms of Stigma in Health Communications project. Alli is now attending medical school at Texas Tech. Valerie will enroll this Fall as doctoral student in Clinical Psychology at North Dakota State University where she will continue to pursue her interests in emotion dysregulation, disordered eating, and borderline personality disorder. As an undergraduate at Stephen F. Austin she was awarded the 2013 Top Scholar Award in the College of Liberal and Applied Arts. Elizabeth will enroll this Fall as a doctoral student in the Counseling Psychology program at the University of Tennessee-Knoxville where she will continue to pursue her interests in trauma and adjustment. She earned her Masters in General Psychology at SFA completing her thesis study, "Posttraumatic Growth in Combat Veterans and College Students: The Role of Cognitive-Emotion Regulation" under the supervision of Dr. Savoy. 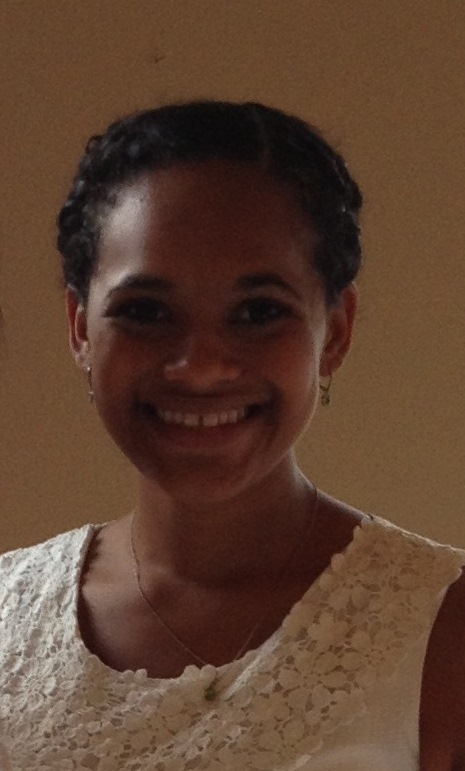 Elizabeth was awarded the Psychology Department's 2013 Outstanding Graduate Student Award. In Spring 2014, Elizabeth was awarded a minority fellowship through APA's Mental Health and Substance Abuse Services Program. Machael earned her Masters in General Psychology in the Psychology Department at SFA. She assisted as an experimenter in the Social Development Lab, contributing to the Adult Impressions of Childhood Aggression Project and the Identity Threat and Eating Behavior project. Machael is currently earning her Masters in Clinical Psychology at Midwestern State University in Wichita Falls, TX. . Machael continues her research interests in depression, stigma, suicide, and child adjustment.